In an insurance policy, be it health insurance or vehicle insurance, the insurance company provides incentive to the policyholder for not making any claim during a year. In an insurance policy, be it health insurance or vehicle insurance, the insurance company provides incentive to the policyholder for not making any claim during a year. The incentive could be in the form of reduction in policy premium or increase in the sum assured of the policy by a specified percentage. Nowadays, insurers usually reward the policyholders with an increase in the sum assured, so let us look at how it works. The health or vehicle insurance policies are annual policies that are needed to be renewed every year. So, if the policyholder has not made any claim during the year, the insurance company increases the sum assured as a reward to the policyholder at the time of renewal of the policy. So, the policyholder enjoys higher policy cover at the same premium. It’s a win-win situation for both the insurance company as well as the policyholder as a ‘no-claim year’ means the no liability for the insurer, while the ‘no-claim bonus’ means the policyholder gets higher insurance cover for the same premium amount. The insurance policy may specify an increase of, say, 10% in the sum assured for every no-claim year. So, if a policyholder does not submit any claim for five consecutive years, the sum assured in this case goes up by as much as 50%. The additional 50% cover comes free of cost as the premium paid remains the same. In this case, if the person had taken a health insurance policy of Rs 2 lakh, the sum assured would have gone up to Rs 3 lakh in five consecutive years no-claim years. The additional cover of Rs 1 lakh is a bonus for not submitting any claim during the five years. Now, the question arises what happens when a person who has availed no-claim bonuses in the past makes a claim. According to new rules, if a policyholder makes a claim in a particular year, the cumulative bonus accrued over the years may be reduced at the same rate at which it was accrued. In the above example, if the policyholder makes a claim in the sixth year (after 5 consecutive years of no-claim bonuses), the sum assured will be reduced by 10% of the base sum assured, i.e. reduction of Rs 20,000 on Rs 2 lakh of base sum assured. So, the sum assured at the time of renewal at the end of the sixth year would be Rs 2.80 lakh (i.e. Rs 3 lakh minus Rs 20,000). However, if the seventh year is again a no-claim year, the policyholder would be again entitled to no-claim bonus and the sum assured would again go up to Rs 3 lakh at the time of renewal for the eighth year of the policy. 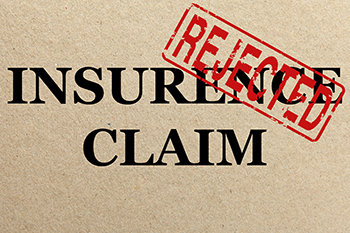 It must be noted that the base sum assured does not get impacted even if the policyholder makes claim every year and remains the same till the policy remains in force.